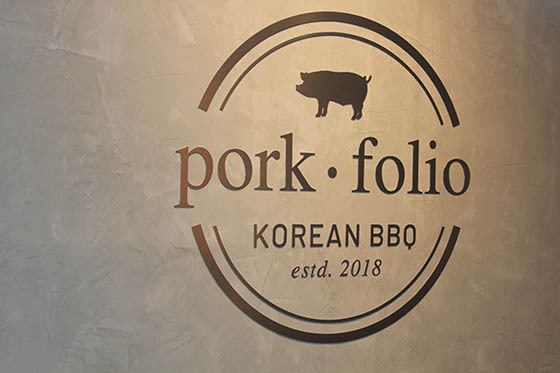 If you’re looking for a mighty and marvelous barbecue experience in the Arcadia area, look no further than Porkfolio Korean BBQ at the Santa Anita Westfield Mall. The sister restaurant to 8 Korean BBQ, Porkfolio sports a tradition that is modern, approachable and refined featuring a menu that offers a wide selection of premium meats and spectacular small side dishes. The specialty of the house, just like at 8 Korean BBQ, is the curated flavors of Mangalitza pork belly that come to life like never before as the pork belly is prepared and served in eight different delicious ways. That’s right, Combo A features eight flavors of pork belly served with a seafood soybean stew and mozzarella kimchi fried rice. It’s the menu must have. And of course, you can always add additional dishes if you’re feeling ravenous. Beef dishes include Argentinian grass-fed beef, USDA Prime, and Japanese Wagyu. The eight wonderful flavors of pork belly consist of original; wine; ginseng; garlic, herb; curry; miso paste; and red pepper paste. While the meat comes all at once it is cooked in two waves. And each style of pork belly is so flavorful that the pork never tastes the same nor feels overwhelming. Each serving is unique and presents its own delicious style. The house specialty combo costs $60 and feeds at least three people. It’s a great deal. With a well-trained staff at the full-service Korean BBQ restaurant, guests can simply sit back and relish their meal, which is prepared tableside. 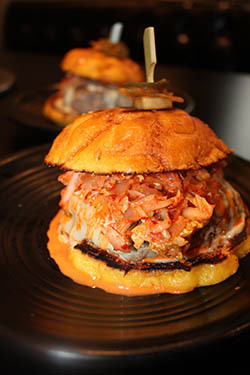 Another super, special option at Porkfolio is the knockout Ktown Burger—an 8oz pork belly burger with a crispy kimchi pancake, Seoul slaw, gochujang mayo, and Bolo bun served with an assortment of banchan. The burger is just so damn flavorful. And the sweetness of the bun pairs excellently with the pork belly and the wonderful accompanying spices. 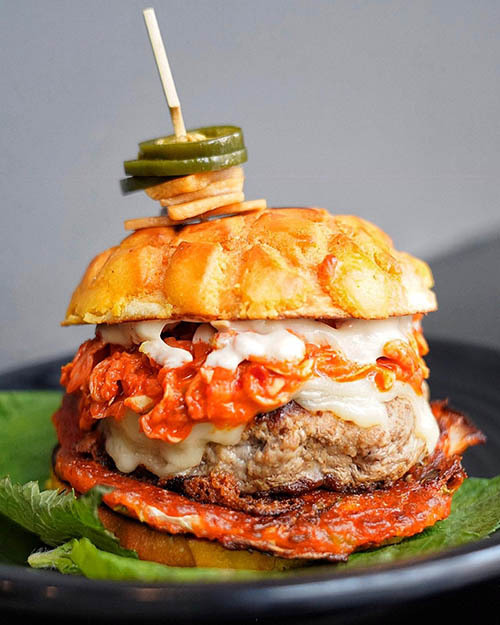 The burger and a combo dinner may be food overload but you won’t be dissatisfied if you just opt for the Ktown Burger—especially with an ice-cold beer at its side. I didn’t think anything would ever make me not order the pork belly combo but the burger is an absolute treat. 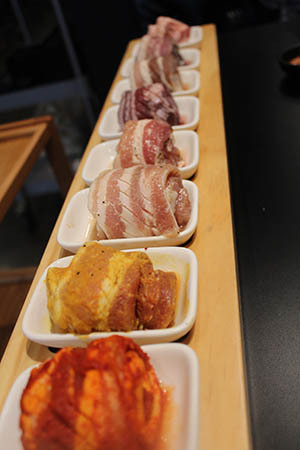 Porkfolio offers a daring and dynamic dining option for anyone in the San Gabriel area. If you’re in the area, you now have a new neighborhood gem, and if you’re making the trek out there for a Korean barbecue feast, you’ll be happy you made the journey. Porkfolio Korean BBQ is located at the Santa Anita Westfield Mall at 400 S. Baldwin Ave in Arcadia. Open daily from 11:30 am to close. Call 626-538-4860.